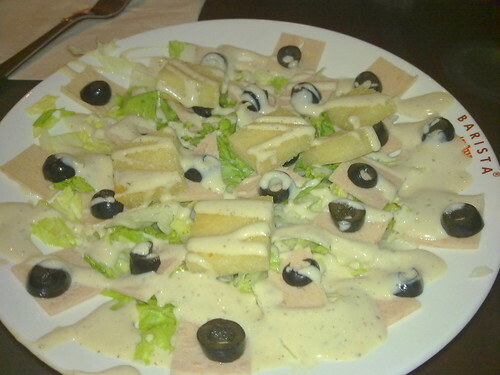 The Special Salad, originally uploaded by amulya. The Caesar's Salad at Barista... usually it doesn't look so... decorated and it tastes a lot better. But this tasted like... well lettuce, mayo and thin strips of chicken or whatever. ugh. Now, come to think of it, I don't think this was even caesar's. ugh.